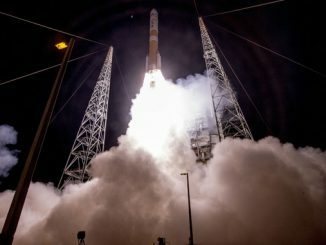 CAPE CANAVERAL — United Launch Alliance will salvage the main engines through a mid-air recovery plan and reuse them again aboard the company’s new Vulcan rocket, saving 90 percent in booster propulsion costs, the company announced Monday. It is dubbed SMART Reuse, or Sensible Modular Autonomous Return Technology, that will see the engine section disengage after staging is completed. “We will cut them off, we will return them to the Earth using an advanced inflatable hypersonic heat shield and then … we will recover them in mid-air, bring them home to the factory, quickly recertify them and then plop them right under the next booster in line,” said ULA President and CEO Tory Bruno. The engines represent a quarter of the first stage’s overall weight and 65 percent of the booster cost, according to ULA. A parafoil will be used to slow the descending engine package to a speed slow enough for a helicopter to pluck it out of the sky. Depending on the launch trajectory, the helicopter will either deliver the engines back to the launch site or onto a waiting ship. 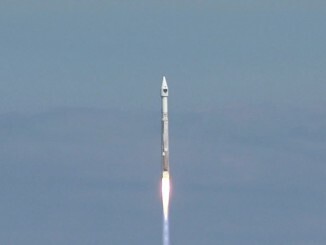 “This new rocket … is going to take the best parts of Delta and Atlas and combine them with new and advanced technology to provide a rocket that’s not just reliable and certain as Atlas has been, but also much more powerful, higher performance, greater flexibility and significantly more affordable,” Bruno said. Powered by two Blue Origin BE-4 clean-burning, methane-fueled main engines, the Vulcan rocket will launch on 1.1 million pounds of thrust from either Cape Canaveral in Florida or Vandenberg Air Force Base in California starting in 2019. “(Blue Origin) is going to bring into an American-built rocket the advanced oxygen-rich staged combustion engine cycle that has yet to be produced in the United States. Much higher efficiency, much higher performance. 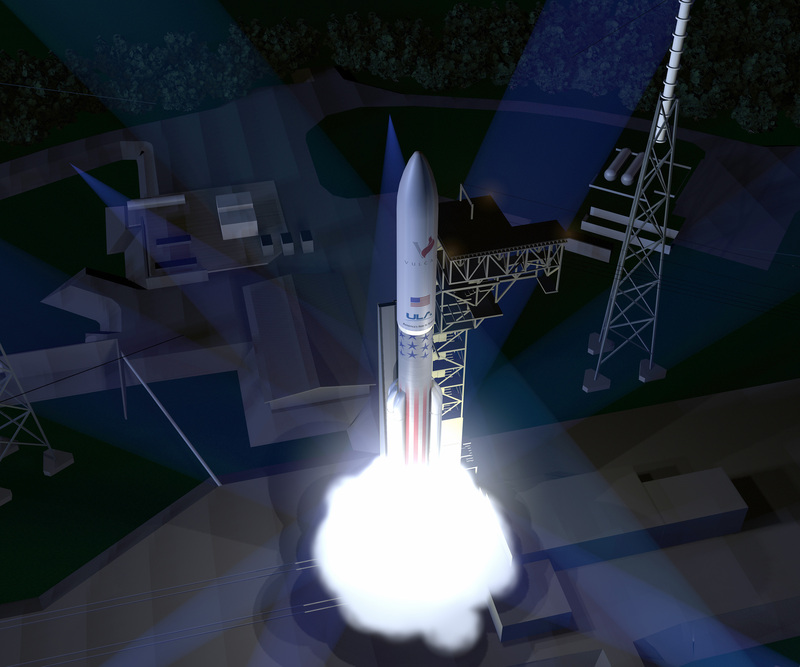 They will replace the venerable RD-180s,” Bruno said. ULA is monitoring Blue Origin’s progress and has Aerojet Rocketdyne’s AR-1 kerosene engine as a replacement option, if necessary. The first stage booster is 20 percent more powerful than the same stage on Atlas. The RD-180 produced 860,000 pounds of thrust. Thew new stage also features stretched fuel tanks for more carrying capacity. Up to six monolithic strap-on solid rocket boosters can be added to increase lift performance. Atlas could fly a maximum of only five. The existing high-energy Centaur upper stage will fly on Vulcan in the earliest years. A new, long-duration upper stage being developed to debut later will allow the new rocket to surpass the capability of the Delta 4-Heavy. “We are going to take a giant leap forward in our upper stage, too. We are going to move to an advanced cryogenic upper stage, burning liquid oxygen and hydrogen,” Bruno said. “The exciting part is the Integrated Vehicle Fluids system, the ultimate in reuse. The thing that limits the performance of upper stage systems in launch vehicles is time. Time in space. 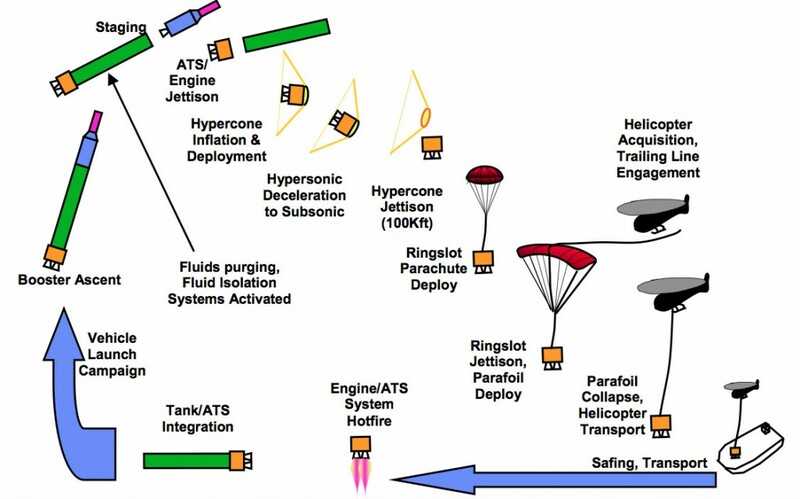 … We will use an advanced internal combustion engine that will take those waste propellants and recycle them to repressurize our tanks, to generate electrical power and to provide control thrust and attitude thrust for this upper stage system. “This completely changes everything. Not only do we collapse from three subsystems to one, simplified systems and lower costs, what it really does is a tremendous extension of our time on orbit. We are going to go from hours to weeks with this system. 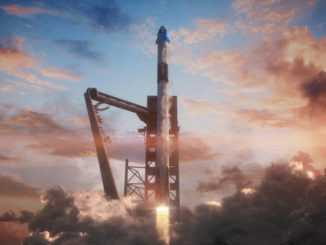 That will open up a whole universe of possibilities — we can carry multiple satellites into orbit, we can put them into different planes, and when we get done with that we can fly back to the space station for operations,” Bruno said. ULA is building the engine with Roush, the NASCAR team. “This upper stage really is a formula race car of space,” Bruno quipped. “This is an absolute thrilling time to be involved in space. At ULA, we are about to launch our 100th rocket later this summer,” said Bruno.